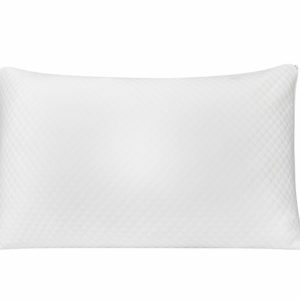 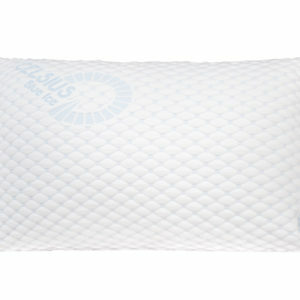 Double-sided pillow designed to provide comfort in every climate & season. 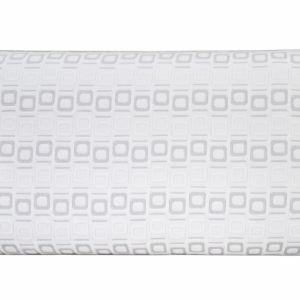 SIDE A: Ice Fabric Technology features cooling fibers woven right into the fabric. 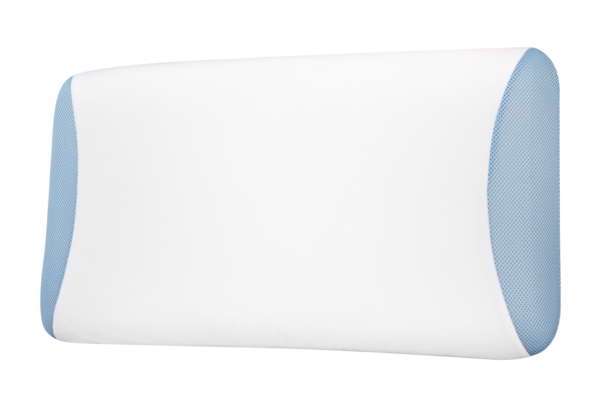 SIDE B: Cozy micro-fleece side for those colder nights. 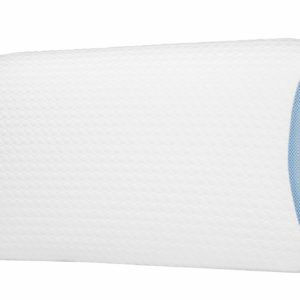 LOFT-X™ offers the support of memory foam with the resilience of latex. 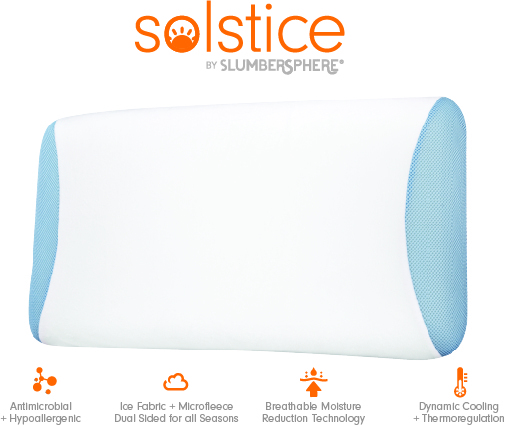 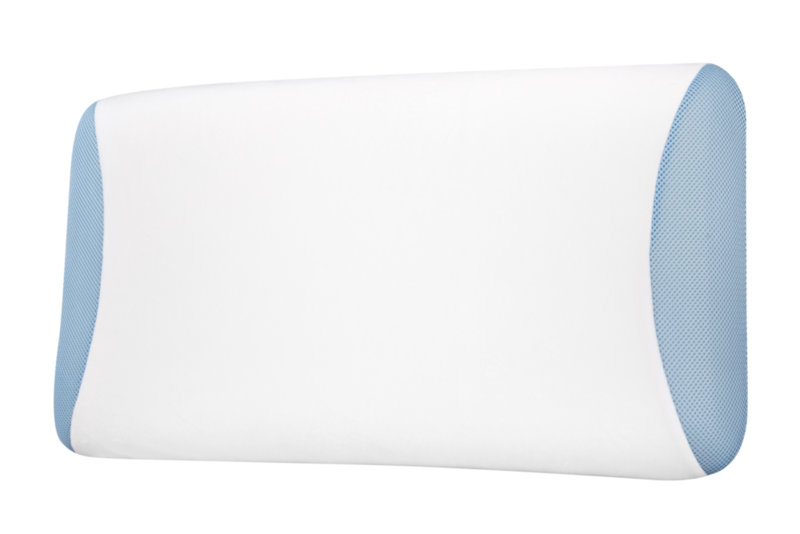 Intuitive, Dynamic Response to environmental changes creates a refreshingly cool + dry microclimate while you sleep, repelling moisture + heat away from your body. 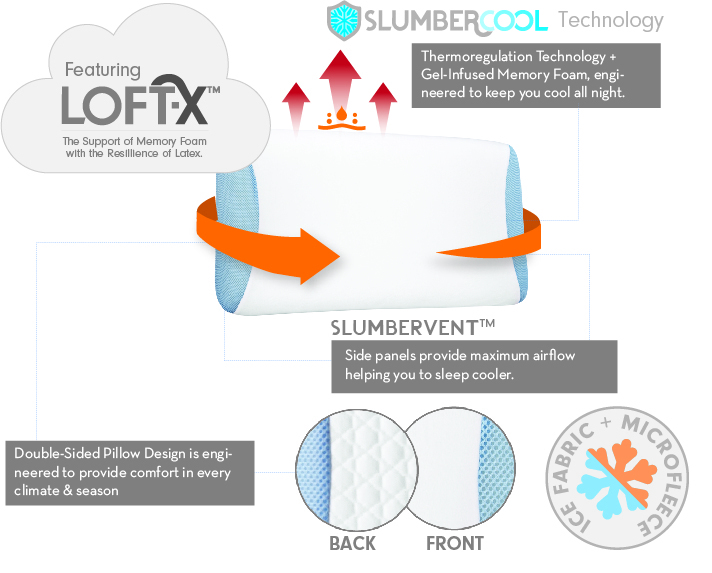 SLUMBERVENT™ side panels provide maximum airflow helping you to sleep cooler.